The Lieutenant is the profoundly moving tale of a young soldier’s arrival in Australia on the First Fleet and the extraordinary friendship he develops with the local Aboriginal people. Daniel Rooke, soldier and astronomer, arrives in NSW in 1788. He sets up his observatory away from the main camp to begin the scientific work that he hopes will make him famous. Aboriginal people soon start to visit his isolated promontory, and a child named Tagaran begins to teach him her language. A genuine friendship forms, and Rooke has almost forgotten he is a soldier when a man is fatally wounded in the fledgling colony. The lieutenant faces a decision that will define the course of his entire life. Didn’t like it – boring. Didn’t like the brutality, too much. History as fiction, not a good idea. Excellent read – historical Australian story. Wonderfully written – brutal but maybe true fact. We must face our past. It came alive to me. Easy lanuage. Main character portrays Captain. Dawes but is named Captain. Rourke. Enjoyed by most of the group and recommended for people who are interested in Australian history as fiction. 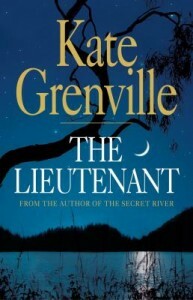 This entry was posted in Australian Authors, Fiction, Historical Fiction and tagged Book Group, book review, Kate Grenville, Parramatta Library, The Lieutenant by admin. Bookmark the permalink.